Queen West may once have been Torontoâs hippest street. But these days itâs Queen St. E., from about River St. to Greenwood Ave., which now has the higher cool quotient. 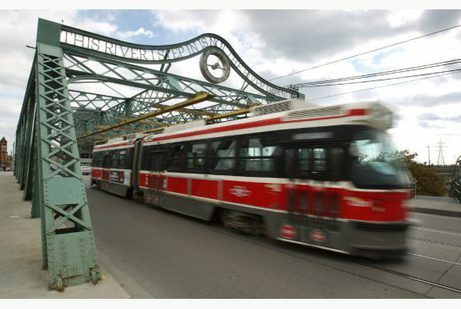 Fronting two up and coming districts â Riverside, which runs along Queen St. E. between the Don Valley Parkway and Degrassi St.; and Leslieville, which runs roughly between Booth and Vancouver Aves. â itâs a stretch that local realtor Julie Kinnear says is booming. says Kinnear, adding that sales of condos and lofts are especially brisk. says Kinnear, who points out that single family homes (many semi-detached) in the area can easily go $80,000 or more above asking.